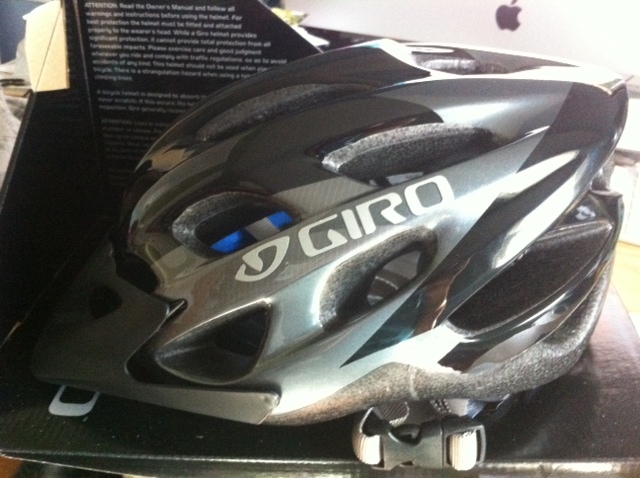 Article first published as The Most Expensive Bike Helmet I Ever Bought on Technorati. A month ago I finally decided to take the plunge and try www.quibids.com. This is an auction style website where you purchase auction Bids for a host of different products. Once you have your bids, you select your product, bid on it, and hope you win. I thought it would be great if I could win an iPad or HDTV for $30, since that is what the website often advertises. I spent $60 for around 100 bids and I started bidding on an iPad. While I was waiting, and often being outbid, I stated reading through the website to become more familiar with how the system worked. To be fair, they provide enough information for one to be successful if they have the time and patience. Clearly I do not as I was not that happy with my experience. I quickly learned how easy it was to spend bids like water and realized how low I was on bids before figuring out I wasn’t going to get my iPad. I decided to bid on something smaller, like a gift card. I spent maybe three or four bids and won a $25 dollar gift card to www.sportsauthority.com and another 30 bids. I was really only interested in the extra bids as I had no need for the gift card. This is where my experience continues to sour, but first my bidding. I continued to bid on items and wait until I thought the bidding would be done, only to be outbid or to see someone else win the auction. Frustrated, I gave up with my lone gift card and have decided not to go back. The bike helmet is what I decided to purchase from Sports Authority.com since I feel a need to exercise more and safety is always important. The only thing at this website that actually interested me and so I went ahead and purchased this helmet with my gift card and paid for the shipping. The helmet arrived today for me to find out that it doesn’t fit. One size fits most should really read one size fits those with a narrow head. Thankfully, they provided a return shipping label. However, they are going to deduct $6.50 for my use of the label. At this point I am feeling like this whole thing is a bit of a scam. Adding up all the money I have spent on this helmet/experience of Quibids, I have spent over $80, and I don’t really have anything to show for it. If you want my advice, only use Quibids if you plan on purchasing something, as you are given the option to buy the product if you don’t win the auction, which means your bids are not wasted because they count towards the purchase price. Check it out if you want, but beware if you have an itch for the quick buy because you will be sorry when you run out of bids and are left with only an empty feeling inside. I am certain in order that very happy to check out this. That is the to line of normal that they are shown and necessarily these random falsehoods that is using the several other forums. Indulge in you are borrowing this unique extremely file.